"I’m going to run all those fascist mobsters, all those American gangsters out of Cuba." Meyer Lansky supposedly was the first to realize the possibilities Cuba afforded the mob. Santo Trafficante Junior was close behind him. The offshore tropical island was the perfect platform for smuggling, among other things. Cuba also made an excellent vacation destination, where a gambling industry to match Las Vegas could thrive -- minus the attention U.S. operators tended to attract from certain federal agencies, like the FBI. Unlike in Vegas, the mob could invest its gambling proceeds into entities like corporations and financial institutions, thus laundering it and profiteering from what wouldn't be classified as illicit earnings. Lansky and his two partners in crime, Charlie Luciano and Benjamin "Bugsy" Siegel, saw major potential in the small island nation 90 miles away from Florida. The mob's interest in Cuba historically runs back to the Prohibition years, when booze and drugs were smuggled via the island. However, the Luciano, Lansky, and Siegel trinity (and other mobsters in organized crime) started seriously sizing up the island for other treasures in 1938. One thing was missing, they realized. And the one thing didn't arrive until 1952. 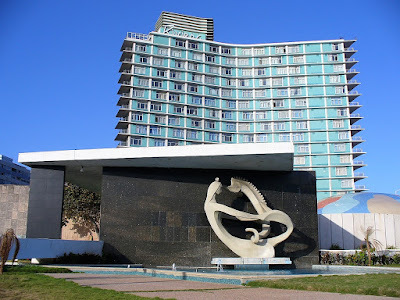 It did so in the form of a U.S.-backed military coup that reinstalled military dictator Fulgencio Batista, who was able to successfully return to power just in time to work with American mobsters to evolve Cuba into -- well, a gangster's paradise. 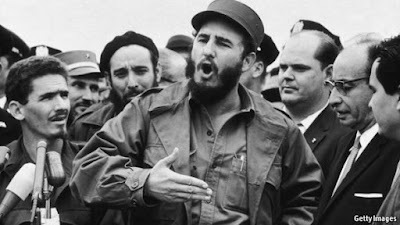 Castro died -- finally -- on Friday, Nov. 26th, at the age of 90, a decade after ceding power to brother Raul. Reportedly, "anguish and ambivalence" are the headline emotions of the nation following "the death of the Maximum Leader." In 1961, the U.S. severed ties with Cuba due to Castro's communist regime. It was only two years ago that President Obama ordered full restoration of diplomatic ties. Today, in fact, the first regularly scheduled flight from the U.S. to Havana flew out of Miami. "If Cuba is unwilling to make a better deal for the Cuban people, the Cuban/American people and the U.S. as a whole, I will terminate deal." Folks, I'm reworking this story. I rushed to post a too hastily researched and written version and am going to fix that. Has the Mafia Resurged Post-9/11? Vinny Basciano Wins His Nickname!